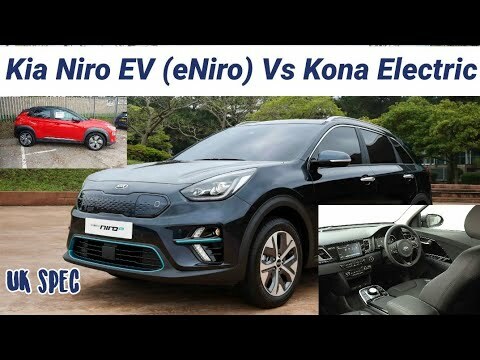 In this next part of reviewing and comparing the Niro Vs the Kona, I test the Kia Niro PHEV in full EV mode to gain an impression of what I might expect from the eNiro. Please remember this is the UK spec which is a single trim version without some of the premium features. In essense it is bigger all over. 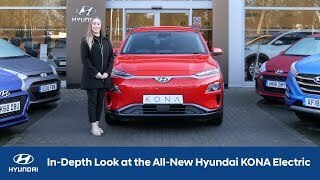 The Kona interior feels closer all round, surrounding you like a cockpit whereas the Niro is more spacious. The seats are softer in the Niro but have less side support, noticeable when cornering. The Niro interior is darker being jet black Vs the Kona's dark grey colour. There are greater number of contrasting materials and more use of softer materials and leather on the armrests in the Niro. At first sight it looks like a more luxury product but as I try the switches and stalks they're softer and slightly more flimsy. The Kona is a little less cluttered in its use of fewer materials and the switches and stalks feel more solid. It's a small difference but as you assess everything like the blue accents on the seats in the Niro, the design of the Niro is definitely busier than the Kona. The Kona has a better flow to its lines and use of materials. This is taste though and my taste isn't everyone else's. 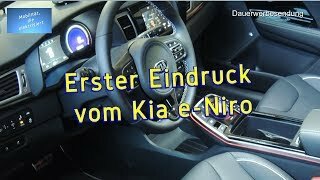 I'd say the Kia interior is more Nissan Leaf like whereas the Kona is more like VW. The JBL audio system was impressive. increasing volume , treble and bass to very high levels didn't distort the sound , instead the louder it was, the better it sounds. The balance needed to be set quite far back in the rear to avoid the front speakers dominating the sound with treble and mid tones. The Krell system by comparison needs less volume and less equaliser increases to gain best sound. The bass in the Krell system is the most impressive. The JBL lacks the punch of the Krell. Bass is not only rich and deep but crisp also. The obvious difference is comfort. The Niro is softer sprung and rolls more in corners. The Kona feels tight and sporty. The Niro doesn't. The Niro will eat up long distances with ease and in comfort for sure. Spec wise the eNiro seems like a Kona Premium (half SE). The Niro's air vents, space, boot lid, centre console and CGC/PEC system are the things I wish my Kona had. Bulb referral code. Gain £50 each by swapping energy supplier to Bulb. Their rates are low and stay low. No fixed term contracts. 32,000 for a car that spins its front wheels when accelerating on a dry road. Plus the tires are very noisy. Nero & Icona both have the same problem. You just have to look at how happy Kona owners are to realise the truth. I read online today ( Auto Express ) that the UK allocation of the E-Niro has now been fully allocated and it’s now going to be sometime in 2020 before the next batch is released, also that the April delivery is now likely to be late 2019. I’ve contact my local stealership to confirm but I haven’t heard back. Thanks for the informative video. Your comments (as in your other uploads) are balanced and reflect an honest opinion. 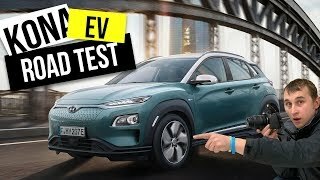 It would be very helpful to have your comments on a recent Kona vs e-Niro comparison on YouTube - https://youtu.be/N1xOl723RxE. What do you make out from the charging graph (that is shown fleetingly)? Are you surprised by the charging speeds or efficiency difference between the two? 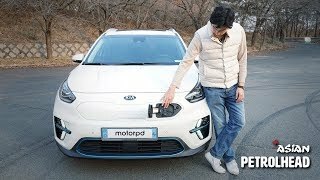 Kia state the same charging times as Hyundai except for small differences in AC charging. Video didn't load. What does it show in summary? 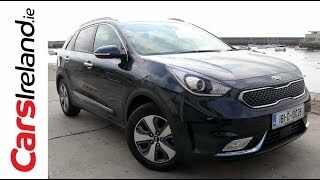 A great video Nigel, I have just turned in my 30Kw leaf for a Kia Niro hybrid. Kia have an extra level of trim for hybrid, level 4, but not available for plug-in hybrid. Level 4 does include the following over the plug-in hybrid, 18” alloy wheels which give a firmer ride, keyless entry, blind spot warning, rear cross warning, sunroof, Bi-Xenon headlights, ventilated seats, driver power memory adjustable seat, heated rear seats. If all that lot was included with the top spec for the E Niro, it would be a wonderful car! My only gripe with the Kia Niro hybrid, is the foot operated parking brake. However, I suppose as an ex Leaf owner I should be used to that! It very much seems that the Niro is aimed at more mature ages, with softer wider seats, family sized car, boring looks. Will the UK spec First Edition be the standard, or will there likely be higher/lower trims once the car starts rolling out? I've seen that eNiros tested in other Countries did have things like ventilated seats and those driver assist programs you mentioned as missing. 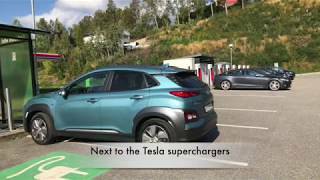 Kona and Niro the speed charging is only 77 kW max ! that is a big fail of these EV !! Thank you for going into the detail. We intend to test drive the PHEV Nero this week, as you did, as I think it will give a close enough driving experience to the eNero to show if there is anything that we really do not like, (not expecting to find anything, though, but until you try it, you never can be QUITE certain :-). If that goes well, then we place a pre-order! The difference in noise is definately the tires. 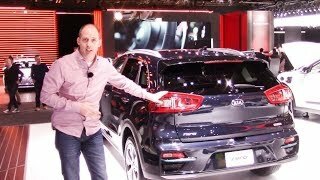 I found the Kona quiter compared to the E-niro. 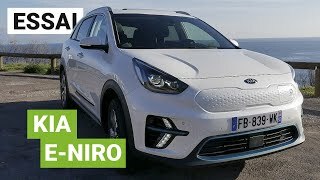 Also, I found that the climate system doesn`t cool all that different between the two, could the difference be explained by the E-Niro being a hybrid car? I test rode them both for about 400 kms, thanks to the dealers and next to these two also the Ioniq and the Zoe. 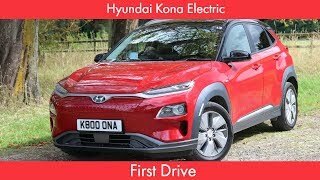 IMHO, both Hyundai won.... and will place a deposit on the Kona! Thanks for all your videos! Fascinating comparison Nigel. 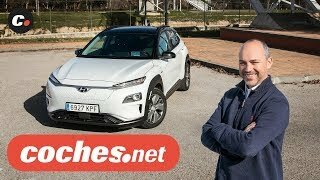 What is very apparent is that both Hyundai and Kia have set the bar very high and it will be interesting to see if the European vendors can step up and reach the same levels of quality, usability and value. A very tough challenge that some will undoubtedly fail. 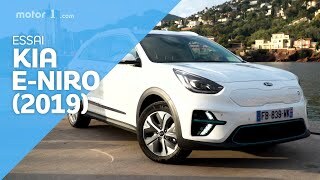 Auto regen is part of the e-Niro and works brilliant. And in the Netherlands the e-Niro has ventilated seats on the top spec model; also blind spot warning, cross traffic alert when driving reverse but the UK version could be different. Suspension seems to be somewhat firmer on the e-Niro vs the normal Niro. So I would wait on drawing a conclusion because the e-Niro has also torque vectoring to make it more agile around the corners. 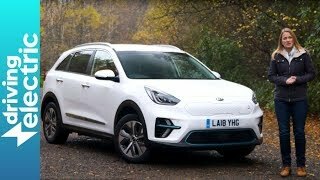 btw: I have my e-Niro on order and it will be delivered February/March and own a Hyundai Ioniq EV atm. Same cars underneath, just cine down to what style fits a person's needs. My wife and daughter love the Kona, while I prefer the Niro. 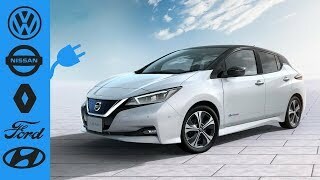 This battery cell maker is set to start mass production of NCM 811 battery cells for electric cars in August. 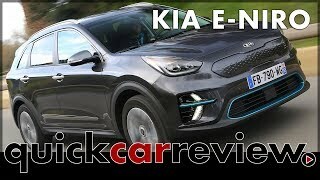 Previously, I thought that the Mercedes EQC electric SUV would be the first electric car to get them, but it seems that Kia Niro EV will have that honor. 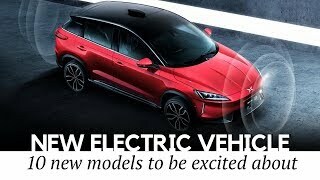 The South Korean newspaper etnews reports that while the Hyundai Kona Electric will get NCM 622 battery cells from LG Chem, the Kia Niro EV will get NCM 811 battery cells from SK innovation. While the NCM 622 cells have higher power density, the NCM 811 battery cells have higher energy density and lower cost. That was last August btw. Ask subscribers for a test drive in Norway or the like, flights are cheap! Cracking detailed review as always. Respect! I’m surprised you do not have more subscribers. I will be sharing this on my northwest EV owners group. The EV Puzzle I used to test drive every EV possible on the market. I still do the odd one when I get chance. 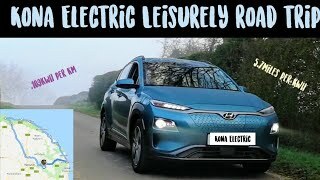 Has a test drive in the 64kwh Kona like your a few weeks ago. Really liked it indeed. Sadly not big enough for our needs really. Loved the range though and the seats. 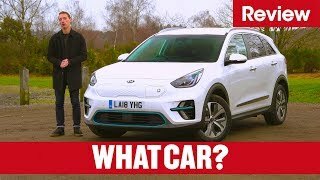 There's a few things in edit at the moment but test drives planned are the new Ioniq this summer with its larger battery, Ipace, eNiro obviously and I'd like to look back at the i3s. Lots more potential but those are on my radar. The EV Puzzle what next on the agenda? Tesla Model 3 road test would be great if you can get your hands on one. I went to see the US spec display one in Manchester. What a stunning car! Just hope it comes to the UK before July this year like its being speculated. Subscribers are growing steadily. I've only been going 9 months. Hybrid? Vade retro gazoline ! You mention the mood lighting is this correct as i see no evidence of it in any of the spec sheets or other video reviews that i have seen. It is not a real requirement but it does give a nice ambiance. 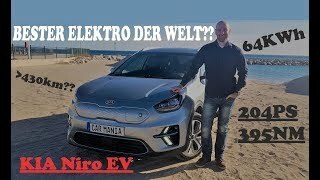 KIA Niro EV 64kWh - DER TODESSTOSS FÜR VERBRENNER? 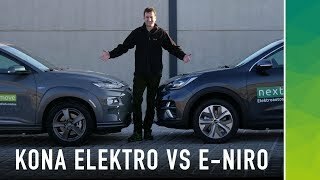 Kia e-Niro vs. Hyundai Kona: Das sind die Unterschiede!